Patterning is an important math skill for kids. 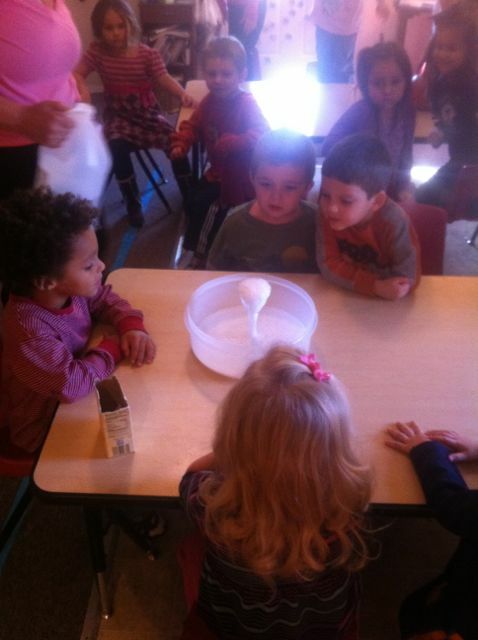 Is it important in preschool .. maybe not but if they can ” get it ” why not ? 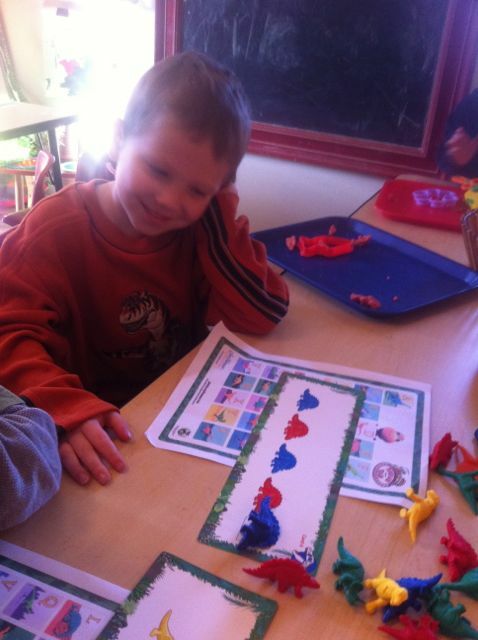 I especially like to pattern with real objects like shoes or stuffed animals but in my dinosaur box was a patterning game. It had little toy dinosaurs so the kids liked it. Patterns are all around us, from the clothing we wear to the repeating patterns found in nature and everyday routine. 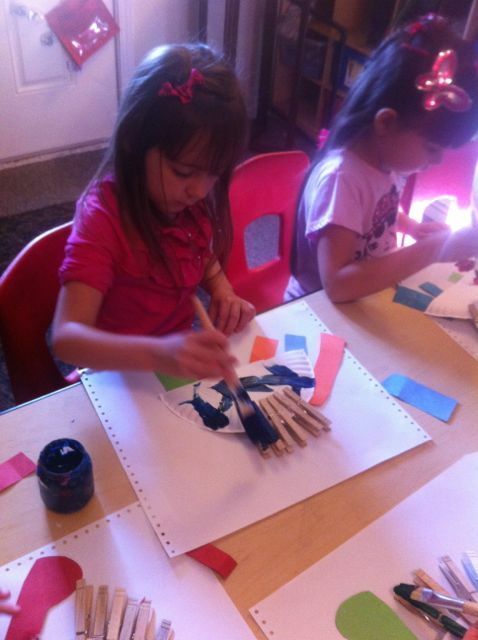 Patterning is also a basic math skill upon which many mathematical concepts are based. Times tables, addition and skip counting all require an understanding of and proficiency in patterning. 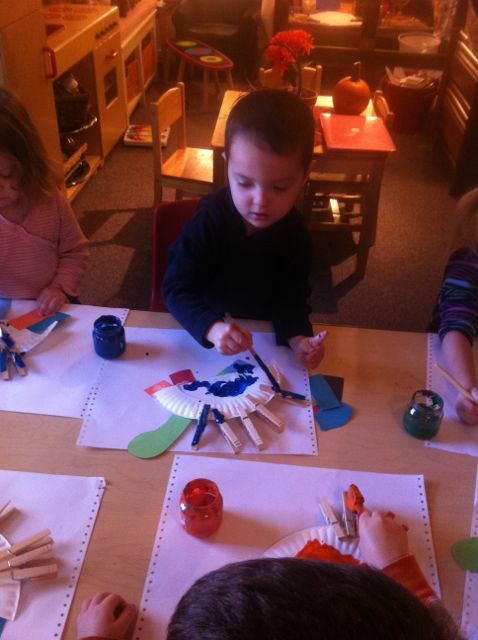 In preschool, identifying and creating patterns is just the beginning of the mastery of life-long mathematical skills. 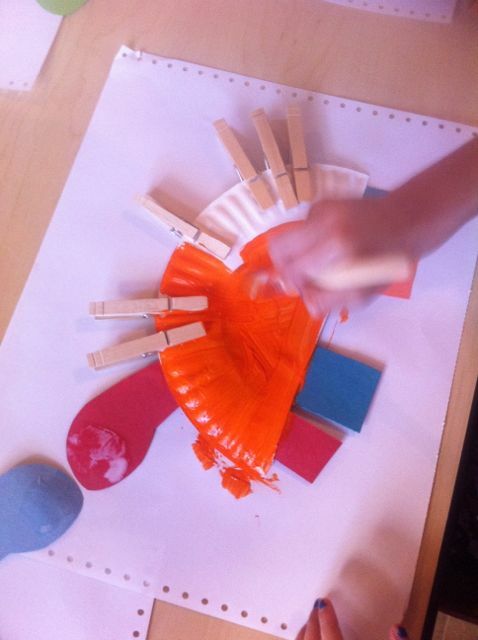 How can you introduce your preschooler to patterning? “Children find patterns from looking around and noticing,” says Grace Davila Coates, Program Director of Family Math (Lawrence Hall of Science, University of California at Berkeley) and co-author of Family Math for Young Children. She says that a parent’s job is to recognize patterns and point them out, in clothes, on the sidewalk, and everywhere patterns are to be found. In short, using the world around you and objects from around the house will introduce your child to patterning and give him a head start in mathematical thinking. A pattern is only a pattern if it is repeated twice. The easiest patterns are those involving two colors or variables (for example, red, blue, red, blue), referred to as an AB,AB pattern. More complex patterns include ABC, ABC; AABB,AABB; AAB,AAB; ABB, ABB; and ABCD,ABCD. Be sure to give your child the opportunity to “read” his pattern when it is complete. 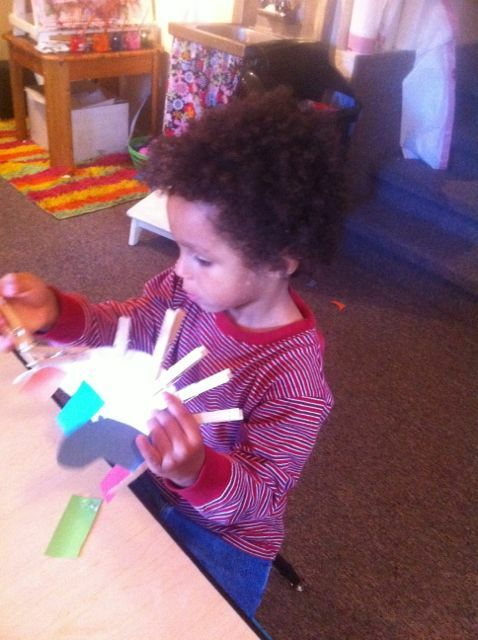 This will allow him the opportunity to fix any misplaced objects in his pattern. I love the look of Kyler’s face when he realized he could do this. Success is very important. That is why when one of the three year olds was working on her pattern and I said “red, yellow, red, yellow…..” ( Looking for red ) she proudly said SQUARE! Well, at the end of each pattern there was an empty square to place the toy dinosaur in. She was right.. next was a square. So, she was. Other math skills were going on today too. I bought 5 new wooden yard sticks ( three are already broken – but that is another story ). At first the boys rode them around the room and said they were firetrucks. I suggested the measure blocks or shelves. 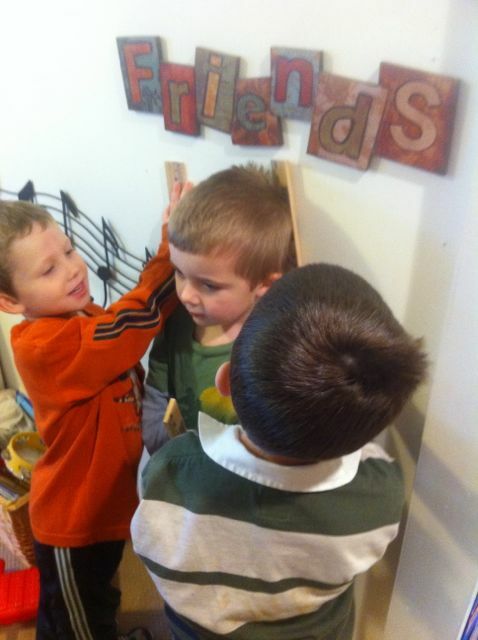 Later I heard Kimber say ” Orrin, lets play doctor ( EVERY teachers ears perk when she hears this ) and measure to see how tall we are .” SO SO proud my smart kiddos. 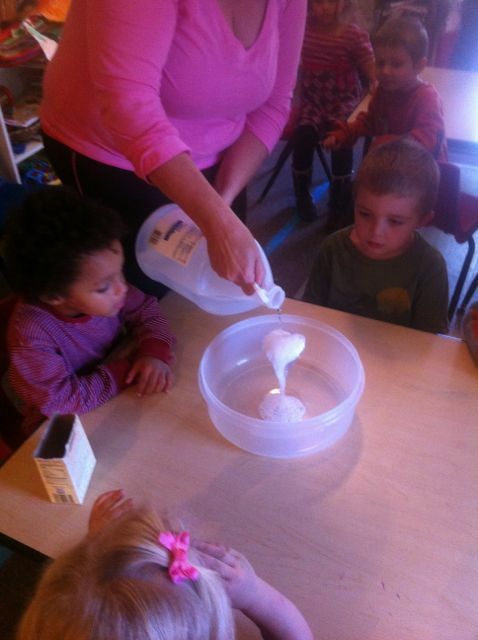 We also watched a 30 second video of a volcano exploding and the lava flowing and then did a science experiment with baking soda and vinegar. I would say we got a lot accomplished ! 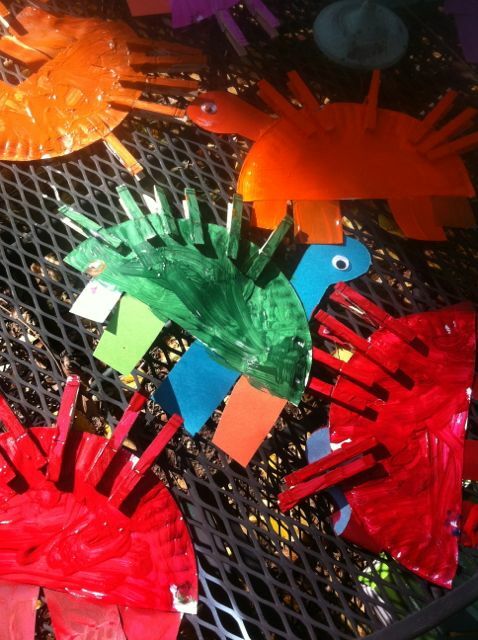 In your cubby is a dinosaur alphabet that we used in small group today. I am sending one home with you . Here are some ideas you can use to practice letter and letter sounds. Sing the alphabet song while pointing to each letter. Can you point to the first letter in your name ? What is mommy’s name ? Can you point to the first letter in moms name ? 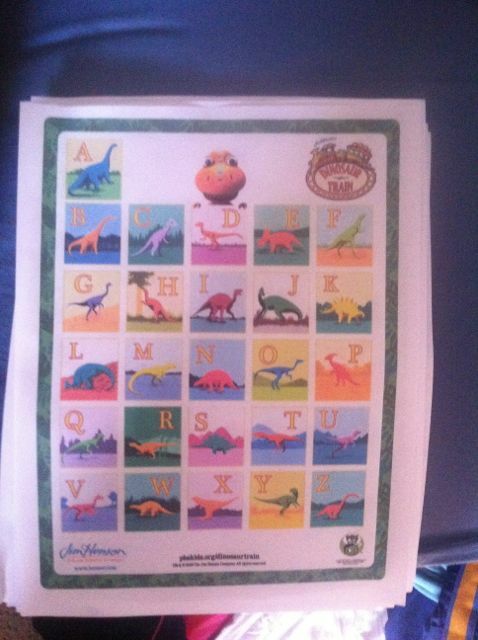 Dinosaur starts with D, can you find a D? Can you find the letter of any of your friends names ? Find an L , what does it sound like ? The list is endless. Have fun. # 2 We’ll get you !